Evidence from Professor Somerville was not put by the Brompton to any of their Inquiries and has never been reviewed by any inquiry into Krista's death. Professor Somerville's evidence in letters of March 1997, September 2001, May 2007 make clear that Krista's death was negligent. Despite the damning conclusions of the review which went to Conservative Health Ministers Matt Hancock and Jacqueline Doyle-Price MP , they have apparently decided according to the DHSC, that despite 'some shortcoming' in inquiries into Krista's death, the review did not warrant setting up any further independent investigation. 1. Krista Ocloo was born in 1979 with a congenital cardiac abnormality which was successfully repaired at the Royal Brompton Hospital shortly before her second birthday. Krista went on to lead a normal life with her twin sister Kelly, until she started to complain of chest pain in 1995. Under the care of her consultant, Dr Shinebourne, this led to an admission to the Brompton for an exploratory catheterisation in January 1996. Dr Josephine Ocloo (JO) and mother of Krista was subsequently told that nothing had been found, there was no cause for concern, and that she would be sent another appointment in six months. Despite a reminder callfrom Krista in June 1996, an appointment was not scheduled by the Brompton until January 1997, more than a year after Krista's catheterisation. Krista and her family were not informed of this appointment. 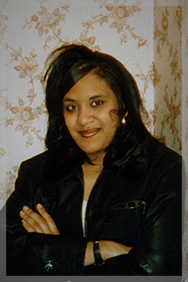 On 5 December 1996, Krista was found dead at home in bed. The post-mortem revealed death from acute heart failure. 2. JO met with the former Secretary of State (Jeremy Hunt) on 24 April 2018 where she explained that she has fought for many years to get to the truth of the circumstances into Krista’s death. She had approached the former Secretary of State having exhausted other system avenues for a resolution of her case. As a result of that meeting he requested that officials from the Department of Health and Social Care (DHSC) undertake a review of the documents submitted to the Department by JO in aorder to consider whether every fair opportunity to fully investigate the case of her daughter, Krista Ocloo, has been taken and whether any further investigation into the care received by Krista should be commissioned by Ministers. This note will help to inform the consideration by Ministers regarding further investigation. 3. A note based principally on the documents made available to DHSC by JO between June and October 2018, together with any documents already held by or available to DHSC, was drafted and shared with JO on 15 August 2018. There has been further correspondence including two meetings with Jennifer Benjamin (Deputy Director) and Harriet Askew (Policy Officer) from the Quality, Patient Safety and Investigations team on 27 September and 15 November 2018 in the process of revising this document. The intention has been to take into account JO’s comments throughout the revision process. Any further comments on the note from JO will be considered by way of a supplementary document. relevant authorities/bodies; and if not, what are the constraints. 5. All documents reviewed are set out at Annex A.
vi. Further opportunities for investigation (2004-2018). 8. That an Inquest into Krista’s death was declined. 9. That evidence provided by Professor Jane Somerville (JS) in a letter of March 1997 was not considered by the NHS Complaints procedure, the Independent Panel Review, and the Evans Inquiry. 10. That JO was not informed about the presence of JS’s letter when it was produced in 1997 and only became aware of it having been put in touch with Professor Somerville in 2001. JO believes this denied her and the various Brompton inquiries a full opportunity to consider all of Professor Somerville’s evidence including that provided by JS in September 2001 and May 2007. 11. That later evidence from JS, in the form of letters dated September 2001 and May 2007, point to further evidence on negligence and missing medical records, resulting in JO’s concerns that medical records and information related to Krista’s case were deliberately withheld or lost by the Trust and therefore not available for the civil Court case. 12. That all stages of the complaints process, including the initial Trust led investigation, the Independent Panel Review and the Evans Inquiry were not independent. 13. That it was not disclosed by the Evans Inquiry that there may be a pattern of concerns raised by a number of other families who went to the Evans Inquiry, related to one particular clinician Dr Elliot Shinebourne (ES), and that despite this the Evans Inquiry declared that they had found no evidence that would warrant any referral to the GMC. This was not considered to be a sufficient public interest argument for system bodies who had previously declined to investigate (e.g. GMC, PHSO) when approached by JO. Other cases against ES have also subsequently emerged that system bodies (DH, NHS London, NHS England, CQC), have declined to investigate. 14. That the aspect of discrimination in relation to Krista and JO has not been adequately addressed by the various investigations or inquiries. 15. That there is a miscarriage of justice in the Court case. o An independent inquiry into the care of Krista Ocloo that allows the evidence of Professor Somerville to be looked at, as this evidence has not been reviewed by any inquiry including the court case. o A review of the death rates of ES and a further review of other cases raising concerns about ES, to consider any wider patterns, issues of discrimination or issues of gross negligence. o An independent inquiry into the system aspects connected to this case including the failings in the investigations processes, issues of openness and transparency and conduct of the regulatory bodies involved. 17. At the end of December 1996, JO wrote to Coroner Paul Knapman (PN) setting out concerns relating to the handling of Krista’s treatment and requesting an inquest into her death. 18. In January 1997, PN wrote to JO declining her request for an inquest on the grounds that “this case is classified as a natural death”. He said “whether yours daughters [sic] death could have been prevented or postponed, is not a minefield I am inclined to enter”. 19. Following a complaint made verbally by JO to PN’s office, PN provided an apology for “aspects which could have been expressed in a more kindly tone” and said “You will appreciate however that dealing with some 14 new deaths every working day, one does get a perception about how some relatives may react”. 20. We are unable to comment on the merits of the decision of the Coroner not to open an inquest into Krista’s death. However, even putting aside the choice of words and tone of the Coroner’s correspondence (which we note to be insensitive and inappropriate), we note that JO does not appear to have been adequately provided with reasons for the Coroner’s refusal to open an inquest and nor does JO appear to have been informed as to how she could complain or challenge the decision if she was not satisfied with it. 21. In 1997, JO made a complaint via the NHS Complaints Procedure. 22. We have had sight, via JO, of a letter written by Professor Jane Somerville (JS) dated 25 March 1997. The letter sets out JS’s clinical opinion regarding Krista Ocloo’s case. She concludes “I cannot guarantee it [Krista’s death] could have been prevented but if no therapy was given then it is possible the mother ‘has a case’. I suspect, depending on the circumstances of the last assessment and whether something has been done about the investigations of ventricular arrhythmias, which she might not have had then, there may be a case to answer”. This letter is addressed to Mr John Chapman (JC), who was at that time Director of Administration at the RBH and was dealing with the handling of JO’s complaint. A letter of 22 May 1997 from Mark Taylor (MT), then Chief Executive, to JO confirms that JC and MT were in contact regarding JO’s complaint. 23. In an unsigned witness statement provided to JO’s solicitors Kingsley Napley LLP in 2010, JS confirms that her March 1997 letter to JC followed a verbal exchange, whereby JC had come “up to my office and asked me whether I would look through a patient’s notes (whom I now know to be Krista Ocloo) and give him my medical opinion about the management” (we understand that Kingsley Napley LLP hold a signed copy of said statement). 24. JO was not made aware of the presence of the letter from JS at the time of her complaint. 25. JO advises that, unsatisfied with the conclusions of the complaints procedure run internally by the RBH, she pressed for the complaint to be referred to an Independent Panel Review (IPR). 26. The Terms of Reference (ToR) for the IPR state that “The Panel will have access to all the records held by the trust relating to the handling of the complaint, and if a clinical complaint, to the patient’s health records”. 28. JS has confirmed in the witness statement, provided to JO’s solicitors Kingsley Napley LLP in 2010, that she was not invited to give evidence to the IPR and did not hear any further regarding Krista’s case following her initial exchange with JC. 29. The absence of any record to confirm whether JS’s evidence was considered by the IPR indicates inadequate record-keeping and suggests procedural unfairness. In these circumstances, it would be reasonable to assume that JS’s evidence was not considered, or taken into account, by the IPR. 30. On 22 June 1998, the IPR concluded that there was no fault in respect of the death and therefore did not recommend any referral to the GMC. Officials have recently obtained a copy of the IPR report but have not had sufficient time to consider its contents. We do however note that JO has explained that the report sets out who gave evidence to the IPR and JS is not included on this list. 31. JO has raised concerns that the IPR does not mention the ventricular tachycardia (VT), which JO states the judge considered a cause for clinical concern. In his legal advice to JO, Richard Lissack QC summarises that the Judge “found based upon the view of the experts, Krista and her mother should have been told that ventricular tachycardia [VT] was a cause of clinical concern, that Krista needed to avoid severe physical exertion and that she should re-attend if her symptoms persisted or other symptoms appeared”. JO informs us that this would have been the Grown Up Congenital Heart Unit (GUCH), which was led by JS. JO also noted that one of the two clinical experts (Dr Graham Stuart) failed to mention the VT in his clinical report to the IPR and subsequently went on to act as a medical expert for the Brompton in the Court case. 32. JO has also raised concerns that she believes that an individual on the list of witnesses who gave evidence to the IPR is in fact the wife of ES. We have not been able to confirm whether this clinician is the wife of ES, however we note from the Court judgement that this clinician did perform the catheterisation procedure, which may explain why they were sought to give evidence to the IPR. 33. JO has expressed the view that “it would have been a conflict of interest for Julene Carvalho to have given evidence at an IPR into a complaint against Dr Shinebourne who I am told is her husband and therefore this should have been declared”. 34. In September 1999 RBH announced that it had commissioned an independent panel to consider the complaints and concerns of individual families, and those submitted on behalf of the Down’s Heart Group and the Down’s Syndrome Association, about paediatric cardiac services at the Royal Brompton Hospital. In November 1999 RBH announced that it had asked that the Panel also consider cases of children operated on at Harefield Hospital. Chaired by Ruth Evans (RE), these inquiries were brought together to form the Evans Inquiry, which published its report “The Report of the Independent Inquiries into Paediatric Cardiac Services at the Royal Brompton Hospital and Harefield Hospital” in April 2001. 35. JO had led a campaign for an independent inquiry into the RBH on behalf of approx. 40 plus families, having heard on the radio that a whistleblower at the RBH had raised issues of high baby deaths at the hospital. 36. The Royal Brompton Hospital Independent Pediatric Inquiry Panel was asked to review the case histories of the families who had submitted concerns “in order to understand what had given rise to these and to consider how any shortcomings identified could be put right”. The terms of reference were “to address the concerns of individual patients or families, and the Down’s Syndrome Association and Down’s Heart Group, about services at the Royal Brompton Hospital since the beginning of 1991, to include attitudes towards, and communications with, such patients and their families; to find facts; and to make recommendations”. 37. We note at paragraph 2.16 of their report the following is stated regarding the Panel’s remit: “Nevertheless, not all parents were satisfied with the Panel's findings. A few wanted us to make judgements on issues of negligence and to attribute blame to particular individuals for what happened to their child. That was not within our remit, not least because we did not have the legal powers to act in that way, nor did we have the resources, time, legal services and evidence to do. We went as far as we felt we reasonably could to resolve their concerns but in these cases we recommended that parents pursued other avenues for remedy they sought”. 38. In June 2000 RE wrote to JO following her meeting with the Panel members on 1 February and 15 March 2000. The letter summarised JO’s concerns, as expressed in the meeting, and the expert opinion that was provided to the panel regarding both the clinical and wider handling aspects of Krista’s case. 39. In the letter, RE states that the panel has noted that in the opinion of one of the panel members (Dr Archer), the hospital was not negligent in the care provided to Krista but that ‘the communication and involvement of Krista and yourself [JO] in what he described as the very difficult decision of whether to prescribe drug treatment for her arrhythmia, was far below what it should have been; in fact, it was non-existent during her last year of life”. The Evans Inquiry did have the remit to consider the complaints of families and investigate their individual concerns, although it was specific that it could not act as a replacement for the NHS Complaints procedure or the Courts. 40. JO has expressed the view that this letter is prejudicial in referring to issues ofnegligence and beyond the remit of the Panel and “should have made it impossible for me [JO] to go into Court” (JO has informed us that she does not claim the letter did in practice affect the Court’s decision). 41. JO has also commented that “the Evans panel were given access to the histopathological slides on Krista to further consider the evidence on negligence and concluded analysis of these slides provided no further useful info whereas when we commissioned an independent pathologist to look at these slides they contributed to the ruling of negligence in the courts, by showing Krista’s symptoms of heart failure would have been obvious in the missed appt of June 1996 (pages 23-25), which meant the failure to organise that appt was found to be negligent. Therefore had we not commissioned an independent pathologist the Evans Inquiry conclusions would have been greatly prejudicial and would have meant we didn’t win on negligence”. 42. The Evans Inquiry report lists the expert witnesses that gave evidence to the Inquiry. This does not include JS. In support of this, we also know, via the aforementioned witness statement of 2010, that JS has confirmed she was not sought to provide clinical expert opinion to the Inquiry. We are aware that at the time of the Inquiry, JS had provided her clinical opinion in the letter of March 1997 to JC, Director of Administration at the RBH. We are also aware that JC was liaising directly with the Inquiry secretariat regarding JO’s complaint and the IPR report. It follows that JC would have had the opportunity to share the JS letter of March 1997 with the Inquiry. As previously referred to, we know that the RBH Chief Executive in 2010, Robert Bell, wrote that he was unable to confirm if JS’s letter of March 1997 had been considered by the Inquiry (and IPR). 43. None of the expert witnesses that are listed in the Evans Inquiry Report are listed as employees of the RBH Trust (at the time of the Inquiry). We note, however, that JO has concerns about the independence of the panel member Barry Keeton who was a previous employee of the Brompton and colleague of ES. JO has provided a website link to the paper Study of cardiac arrhythmias and other forms of conduction abnormality in newborn infants (1977), in which ES and Barry Keeton were among the co-authors and confirms that at the time of publication (1977) both were employees of the Brompton Hospital. 44. We note that at the time of the Evans Inquiry, JO was still unaware of the presence of JS’s letter of March 1997 and was therefore unable to raise its content to the Inquiry panel. We understand that it was only following the conclusion of the Inquiry that JO became aware of the letter, having been informed by a patients’ organisation about JS being a doctor at the RBH and subsequently contacting her. It was at this stage that JS confirmed that she had been asked to provide her clinical view by the then Chief Executive of RBH, Mark Taylor. JS subsequently went on to provide evidence to JO and her solicitor prior to the Court case arguing that Krista’s death was negligent. JO believes that had she been made aware of the 1997 letter, JS would have been able to submit this wider evidence to the Evans Inquiry as subsequently provided to JO in letters of September 2001 and May 2007. 45. Whilst we cannot comment on the conclusions reached by the Evans Inquiry, we would make the same observations here in respect of record-keeping and apparent procedural unfairness concerning the evidence from JS. Again, it would be reasonable to assume that JS’s evidence was not considered, or taken into account, by the Evans Inquiry, and that JC, of the RBH, had the opportunity to provide it. 46. The Evans Inquiry report concluded that none of the doctors involved in the cases examined (including Krista’s) were responsible for the deaths, although there was criticism for poor communication and the inappropriate concern expressed about whether parents had capacity to look after a child in the place of sufficient consideration on whether surgery would be beneficial. The Inquiry found that, while acting in good faith, doctors had discriminated against children with Down's syndrome by denying them operations. 47. JO has expressed deep concerns that a large number of cases considered by the Evans Inquiry were specifically related to the care provided by ES. JO has provided us with a document (produced by JO’s solicitor) summarising further cases of concern related to allegations about poor care and treatment by ES. JO confirms that the information provided was gathered from her involvement in the Evans Inquiry and in her capacity as the chair of the action group. It also includes other cases that have been brought to JO’s attention since the Inquiry. We note JO’s concerns regarding this information, specifically her findings that it indicates a pattern of complaints against ES and that a number of cases are similar in nature to that raised by Krista’s case. She notes this pattern was not set out in the Inquiry’s conclusions who subsequently reported that in their view they had not encountered any actions or issues at the RBH or Harefield Hospital which should have been reported to the GMC). We cannot draw any inferences about the Inquiry’s considerations (or not) of these issues based on their report, but we note that JO has provided information collated of these further cases against ES that she believes need to be further investigated, to understand any wider issues about negligence or discrimination and which may help shed further light on the actions of ES in relation to Krista’s care. Second, we do not have access to the primary sources of information that are cited and we do not think it would be appropriate to seek the consent of families that would be necessary for this information to be verified and used. This is a limitation of the scope of this review. 48. JO has informed us that she is aware of a family who were involved in the Evans Inquiry who were subsequently involved in a legal decision regarding the Trust concerning ES. Again, we are not in a position to take this information into our considerations, nor draw any conclusions from it, as we do not and should not know the details of this case and how any settlement came about, given the details would seem to be confidential. 49. The Inquiry made 120 recommendations to RBH, but as stated previously, it did not have the remit nor appropriate mechanisms to make determinations regarding negligence. 50. JO brought a civil action against the RBH in respect of the death of KO in 2001, for damages for bereavement and personal injury. JO has informed us that this was now her only choice following the outcomes of the complaints procedure, IPR and Evans Inquiry and going to the GMC was no longer an option given the findings of the Evans Inquiry. The case was overseen by the Hon. Mr Justice Leveson (“the Judge”), who delivered his judgement in December 2001. The Judge accepted that “the money…is not, of course, the point” and reiterated that JO’s wishes were to learn the truth surrounding the death of Krista. 51. JO was not successful with the action – which failed on the issue of causation. The Judge found that the failure to arrange appropriate follow up by the RBH was negligent, but he did not find “on the balance of probability (or otherwise than as a remote possibility) that whatever steps had been taken, Krista’s death would have been prevented”. The medical experts who gave evidence were unanimous that Krista should have been followed up and been kept under active review, however there was divergence in opinion regarding causation. As the Judge put it, a number of distinguished cardiologists provided their expert opinion. We note from the judgement that JO served a series of reports from Dr Marla Kiess and JS. JS was not in the end called to give evidence at the trial, as we now understand from JO that this was due to JS’s then reluctance to give evidence against her employers. 52. On the other side, RBH relied on expert evidence from Dr Christopher Wren and Dr Graham Stuart. Accordingly, Drs Keiss (on behalf of JO) and Wren and Stuart (on behalf of RBH) all gave evidence at the trial. Ultimately, because the Judge foundagainst JO on the issue of causation the claim failed. 53. JO was ordered to pay significant legal costs of £120,000. These were reduced by the NHS Litigation Authority to £10,000. JO believes this was due to the media coverage given to the case and concern from the RBH that JO may expose further cases of negligence. 54. JO informed us that whilst reduced, the still significant legal costs of £10,000 meant that pursuing an appeal at that stage was financially impossible and that this delayed her seeking advice on appeal from her Counsel. We also note, from the legal advice document authored by Mr Richard Lissack QC of June 2004, that the delay in obtaining advice on appeal was in part attributed to the “emotional toll” of the claim. 55. In 2004, Mr Richard Lissack QC (RL), provided advice to JO on her prospects of her successfully appealing the judgment on causation that was delivered by the Judge in December 2000, both in terms of the prospects of permission to appeal being granted and the prospect of such an appeal being successful. 56. On the prospect of an appeal Court granting permission to appeal RL concluded that there was a 25-30% chance of an appeal being granted, adding a “word of cautious encouragement” that “IF I [RL] get the Court really interested in the substantive appeal and they are persuaded to look above and beyond the bare CPR guidance to some rather woolly concept of wider merit, then the bracket will be immaterial – they would very probably grant permission. If they think an injustice may have been done and they want to have that put right, they will grant leave whatever the CPR says”. 57. On the prospect of success, should permission to appeal be granted RL believed there to be merit in an appeal with respect to the analysis of the symptoms displayed by KO in December 1996. RL notes in the appeal documents “Although he [the Judge] was in a unique position of having heard all of the evidence, I believe it arguable that the Judge erred in his finding and that the weight of the evidence in fact suggested intervention on 4 or 5 December 1996 would have prevented Krista’s death”. RL found that “at this stage and based on what I presently know I [RL] believe that an appeal on this point has a chance of success in the region of 50%. He expressed that this view would “become more optimistic” if the permission stage is overcome and detailed preparation for a substantive appeal was underway. He also stated that his conservative estimate of success was not based on the merit of the arguments on causation but upon the difficult issue of late appeal. 58. We note JO’s concerns relating to the outcome of the Court proceedings, that JO believes, on advice from her Counsel, that the Court’s decision on the issue of causation was wrong and that this was a miscarriage of justice. JO believes there were a number of issues to do with unfairness in the court case. 59. First, JO believes that the Judge erred in his findings on causation against the weight of evidence and that this constitutes unfairness in the Court process. 60. Second, JO informs us that Dr Graham Stuart, acting medical expert for the RBH changed his evidence in court from that given to the IPR, having not mentioned the issue of VT as the main clinical symptom in Krista’s death. 61. Third, we note JO’s concerns that, according to the witness statement of JS in 2010 and May 2007 letter, medical records were not made available to the Court that had, in JS’s view, been available previously. JS notes in her witness statement “Although I am reluctant to be involved further in Miss Ocloo’s case, I retain deep concerns about the way Krista was treated or rather not treated and I felt the outcome of the Court procedure was unfair and that Miss Ocloo deserves an independent investigation into matters where all the relevant information is taken into consideration”. 62. In June 2004, JO submitted an application for funding to the Legal Services Commission (LSC). This application was denied in December 2004, on the basis of capital thresholds. 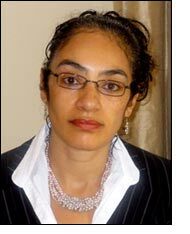 In March 2005, JO made an application to the European Courts for violation of the right to public funding to bring an appeal on the basis that the LSC had wrongly calculated the capital thresholds in breach of the Community Legal Service (Financial) Regulations 2000. This was refused in November 2005 without explanation. JO brought a complaint about the refusal of the LSC to provide funding to the Public and Health Service Ombudsman in November 2005, who declined to investigate due to the attempt to take legal action in the European Courts. 63. As for the High Court decision, we are not in a position (and nor would it be appropriate for us) to comment on the merits or outcome of the LSC, European Court or PHSO decisions. However, we note that these decisions had the practical effect of financially inhibiting JO from appealing the High Court decision and that JO believes this to be unfair. We have also previously noted that the costs awarded against JO by the Judge were also significant, even when reduced, and that this also financially inhibited JO from appealing the Court case. 64. In December 2006, JO returned to the PHSO to request that they consider her wider complaint regarding the RBH, citing specifically her concerns relating to the other cases relating to ES that she had identified and the evidence of JS. JO says that the PHSO said that they could not look into the complaint because the matter had already been considered by a Court. The Ombudsman cited the same reason in 2013, that time stating that JO had exceeded the time limit by three months. The PHSO have the discretion to set aside this time limit in the public interest, however this discretion was not exercised. We do not have access to the PHSO’s decision making process however understand that JO made a public interest argument in relation to all of JS’s evidence [1997, 2001, 2007] and the consideration (or lack thereof) by the IPR and Evans Inquiry, and the patterns with other cases JO had identified regarding concerns relating to ES. 65. JO approached Robert Francis QC regarding JS’s evidence and her concerns that it was withheld from the Evans Inquiry, which she believed was a public interest matter. His response was: ‘If the material you refer to was available at the time and should have been given to the various inquiries, but was not, then it could raise a question mark over the validity of those processes. I would respectfully suggest that is a concern which you may wish to raise with the Ombudsman’. 66. In July 2007, JO approached the GMC regarding the evidence from JS [letters of 1997, 2001 and 2007]; her concerns that this was withheld from the Evans Inquiry; and regarding the concerns regarding ES (that there was a cluster of cases where concerns were being raised about ES, including families who both were and were not involved in the Evans Inquiry). The GMC declined to investigate JO’s concerns regarding ES. JO alleges that one of their key reasons was that it said the Evans Inquiry report claimed they had not found any evidence which would warrant the referral of any doctor to the GMC (although the Registrar can in exceptional circumstances re-open a case in the public interest but chose not to). In her follow up note to Dr Helen Woodward and Ms Helen Hughes of November 2007, further to her meeting of October 2007 with then Chief Medical Officer Sir Liam Donaldson, JO also explains that the GMC had declined to investigate due to the event in question (Krista’s death) being outside their five-year time limit, relating to GMC rule 4(5) of the Fitness to Practise Rules 2004. These rules also provide the GMC with the discretion to waive this time limitation in the public interest. 67. The former Chief Medical Officer, Sir Liam Donaldson, wrote to the GMC in December 2007, stating that he felt the allegations to be very serious “and thus you may wish to consider them despite the lapse of time since they originally occurred”. The GMC declined to exercise their discretion to waive the time limitation. 68. In December 2010, JO submitted all of the evidence she had provided to the GMC [all of the letters from JS, information relating to the identified cluster of cases regarding ES, and evidence alleging the RBH withheld information], to the Department of Health and the Strategic Health Authority (NHS London). This subsequently led to a meeting with the Department of Health and Strategic Health Authority and RBH’s legal team who agreed at the meeting that the evidence of JS would not have made any difference on causation (JO and her legal team had not been invited to this meeting). As such, an investigation by RBH and a parallel investigation via the SHA did not proceed. 69. In January 2011, the SHA Medical Director said that there was no justification for establishing an investigation panel. JO states that despite her repeated requests, the Department of Health, NHS London and the RBH, refused to allow her to formally compile the evidence to submit to the Brompton for their investigation and to the SHA Medical Director based on full evidence from JS and evidence prepared for JO relating to errors made at the Court hearing. She states that no mention was ever made from any of the bodies above about JO’s concerns regarding a cluster of cases relating to the practice of ES. 7. Opinion Piece by Dr Ocloo, Health Service Journal, 22 February 2018 - Involving a greater diversity of people in healthcare processes. 8. Presentation by Dr Ocloo to a Learning from Deaths Meeting coordinated by DHSC, 12 March 2018 (Powerpoint slides). 9. Briefing entitled ‘Krista Ocloo: Miscarriages of Justice and why I am asking for an Independent Inquiry to be set up. Date 24th April 2018’ (this appears to have prepared in preparation of Dr Ocloo’s meeting with Secretary of State on 24 April).